As a self confessed beauty junkie, nothing gives me more pleasure than actually getting to the end of products. This is generally because we have so many things to try that we rarely actually finish anything. With that thought, I will quickly run through what I have gotten through recently and my thoughts. Loreal Elvive Fibrology is a good shampoo to thicken your hair for a special occasion. Didn't did too much to my hair in all honesty but it's not exactly thin. My friend with super fine hair found it to be too much though. 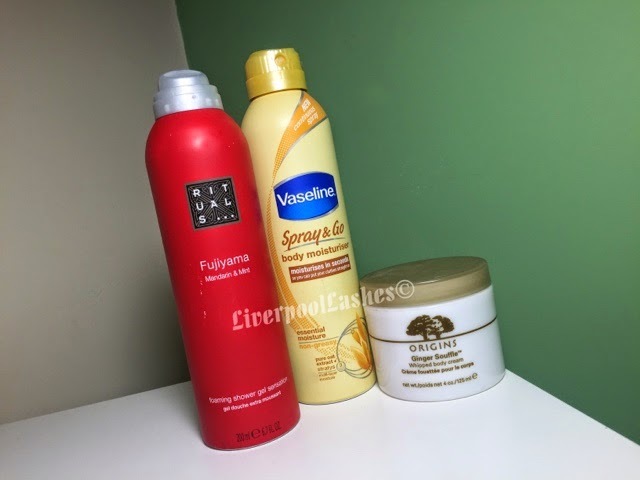 Pantene Aqua Light shampoo is one of the best clarifying shampoos I use and I always return back to it, highly recommended. Lush American Cream is a funny conditioner really. You apply it it and doesn't feel like much but it left my hair fairly soft. I wouldn't say that this was good enough for a deep treatment. Rituals Fujiyama Foaming Shower Gel was a gorgeous scent. I love foaming shower gels but this one is pretty pricey compared to Imperal Leather's Foamburst so it would definitely only be a treat. Vaseline Spray & Go is a good concept for the super lazy moisturiser like me. 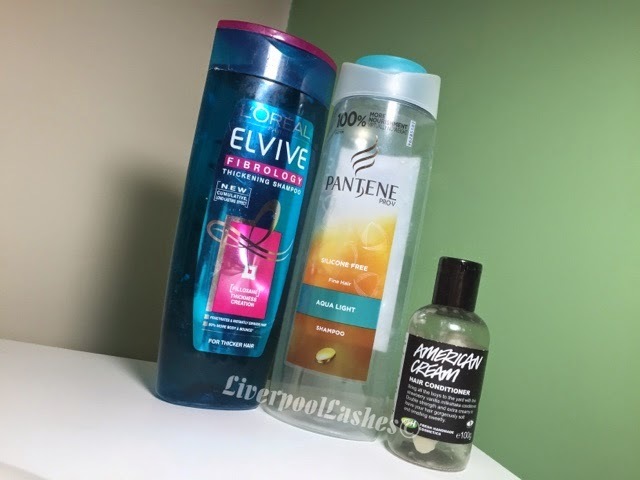 You do need to rub it in a little but it does the job for skin that's not too severely dry. Origins Ginger Soufflé is a nice scented body moisturiser but to me it was more about the scent than the moisture. 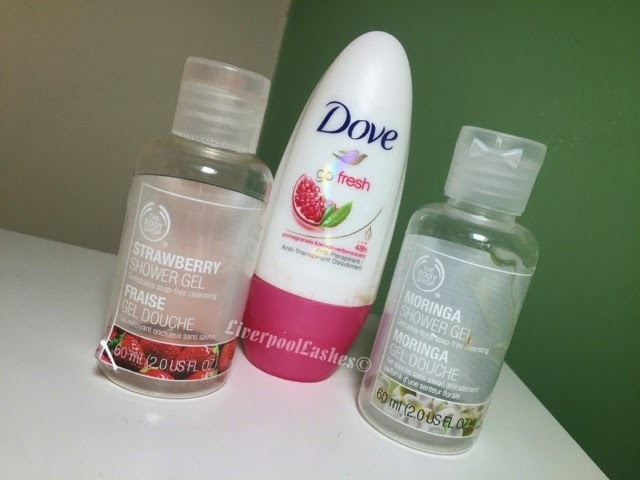 I'm a bit obsessed with the Dove Go Fresh deodorant in the pomegranate scent. It's so clean and fresh and I keep repurchasing it in either the roll on or spray. Find lal to used a copy one of The Body Shop shower gels in Strawberry and Moringa. The strawberry one is a really false strawberry fragrance, very close to the smell of the sweet, Chewits which I don't mind. Moringa is more sophisticated but I can't really describe it. Id probably say it's more of a crowd pleaser! The lush one looks great!